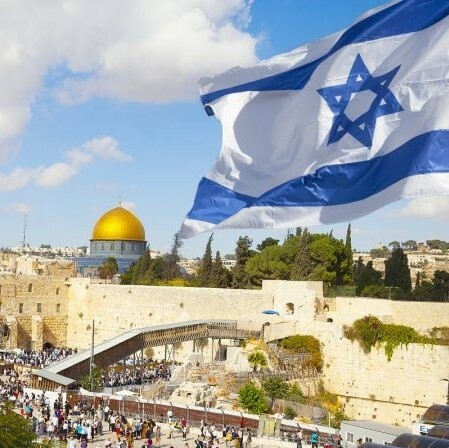 As we continue to watch the nations stumble over Israel and especially the beloved City of Jerusalem we are encouraged by the word of God which declares the end from the beginning. 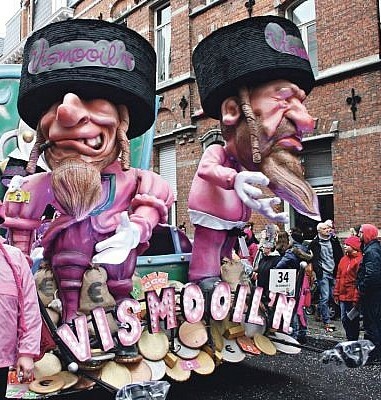 We are in the season of the festival of Purim, which will be celebrated by Jewish communities from the eve of the 20th to the 21st of March, rejoicing in various festivities as they celebrate the incredible intervention of God, who saved the Jewish people from imminent destruction. The book of Ester tells the wondrous story of redemption brought about through the faithful actions of a humble man and a courageous women who feared God rather than man, and so played their part in their nation’s salvation. It is the only book of the Bible where God is not mentioned by Name and yet His hand is clearly working out his good plans! It is a story which brings us much encouragement in trusting that He will never allow the people of His inheritance, the Jewish people and the place of His inheritance, Israel, to be wiped off the face of the earth. Click here to what a 5min crash course on Purim. 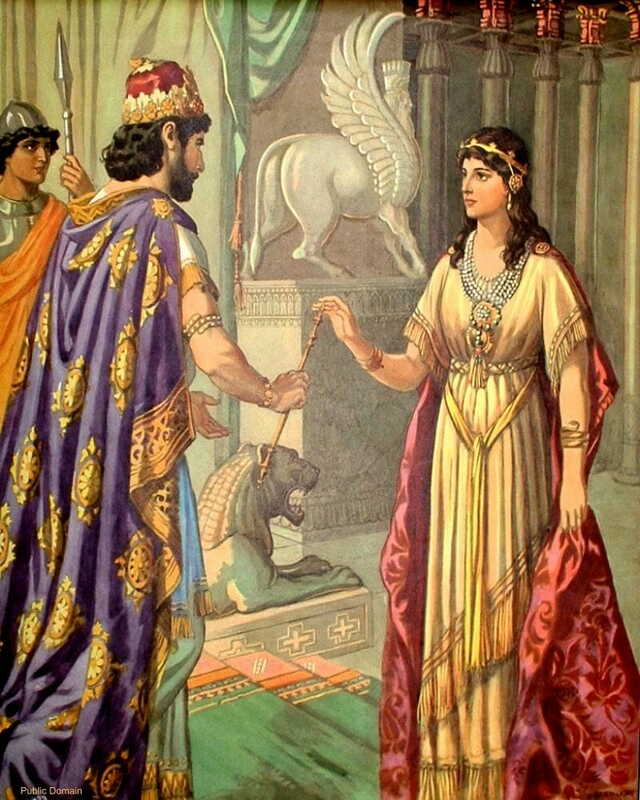 It is particularly pertinent in today’s climate of rising anti-Semitism to be reminded of the story of Ester which recounts the outworking of the most ancient and illogical hatred known to man. Haman, an Agagite, the enemy of the Jews, works his case in the King’s courts through a narrative of lies and deception. Hitler, our modern day Haman tried to wipe out as many Jews as possible, succeeding in murdering 6 million men, women and children around 70 odd years ago. Succeeding, in part, due to the apathy of the church and the people who stood and watched their neighbours rounded up and transported to the labour camps and gas chambers, as if they were animals taken to slaughter. It did not happen suddenly, but was the result of an ongoing narrative of lies and deception that was allowed to continue unabated in the press and in the halls of power. We are seeing the same happening today and are shockingly far down the road already of our Jewish family being depicted as cruel to the “vulnerable” (In their attempts to defend themselves against terror attacks), to blame for the state of the world’s economies as it is stated that they control world finances and are greedy etc. The success of Israel in many areas will surely further exacerbate the ancient jealousies. The rise of blatant anti-Semitsm in civilised countries like the USA, where newly elected Democratic congresswomen like Ilhan Omar feel free to make anti-Semitic statements and the Labour party in the UK who endorse their own leader and members who are openly anti-Semitic in their halls of power (which led to the resignation of seven party members in protest), are a massive warning light to us of where things could be heading. In the USA, a known friendly nation towards Israel, anti-Semitic incidents are doubling up year on year and sympathy for Israel vs Palestinians dropped in the latest survey by record percentage points, the biggest drop since the Gallup poll began in 2001. Let us rise up and be prepared to play our part in standing strong for truth around the people and nation of Israel. Many are ignorant of the true facts around Israel and we can all play our part as “Esters”, speaking up whenever possible, in defence of our Jewish family. The situation on the borders of Israel also remains volatile with the Lebanese border a big concern as Hizbollah continues to build up their forces and ammunitions on the border. Syria has a Russian build up near the Israeli border and Turkey and Iran continue to make plans as to how they can destroy Israel. Hamas in Gaza are desperate as they are facing bankruptcy and had to contend with large protests from their own people last week. Hamas arrested 7 journalists who dared to cover the protests. (4 of whom were hospitalised for injuries sustained during the arrests). 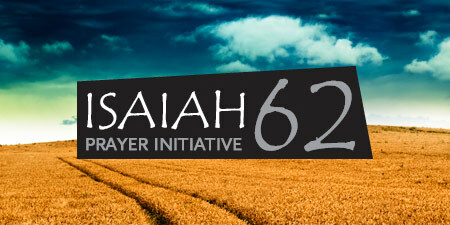 Pray for the Israeli elections on 9 April and also for our SA elections a month later on the 8 May. May we experience God’s mercy and protection during this time, as we trust for a season of godly governance to ensue in SA. We also need to pray that the planned downgrade of the SA Israeli Embassy to a liason office will not go ahead as this will bring no blessing to our nation. 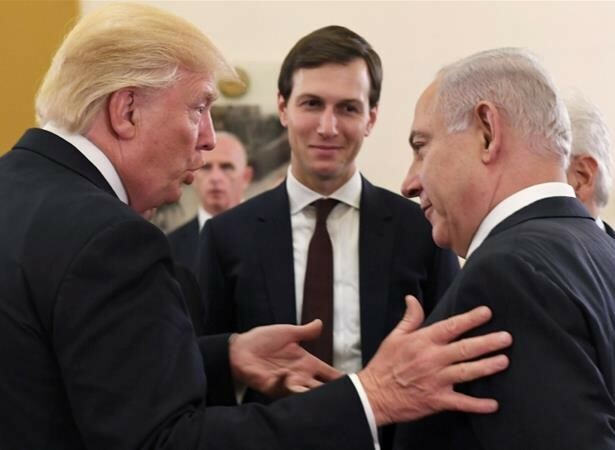 There is much concern about the unveiling of the so called “Deal of the Centuary Peace Plan” by Pres Trump, sometime soon after the Israeli elections on 9th April. Every president hopes to be the one to bring about peace in the Middle East but we know that it will only happen when God sends the Prince of Peace back to Jerusalem. 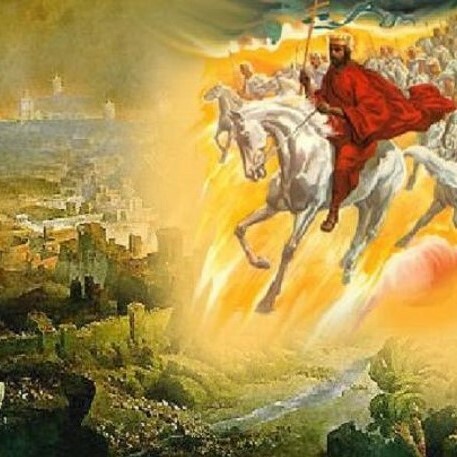 There is a sense of things moving faster towards the end of days where the nations will come up to Jerusalem in an attempt to finally destroy Israel. We have had a number of good meetings recently, including a seminar aimed at Pastors that we did in partnership with SAFI (SA Friends of Israel). I will be doing a series of meeting in the Durban area near the end of March, so please come and join us and feel free to bring along others as well. Another 80 Ethiopean Jews made Aliyah this month, funded mainly by the ICEJ. 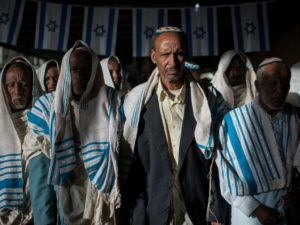 The ICEJ have also committed to funding the approximately last 1000 Ethiopean Jews waiting to come to Israel. 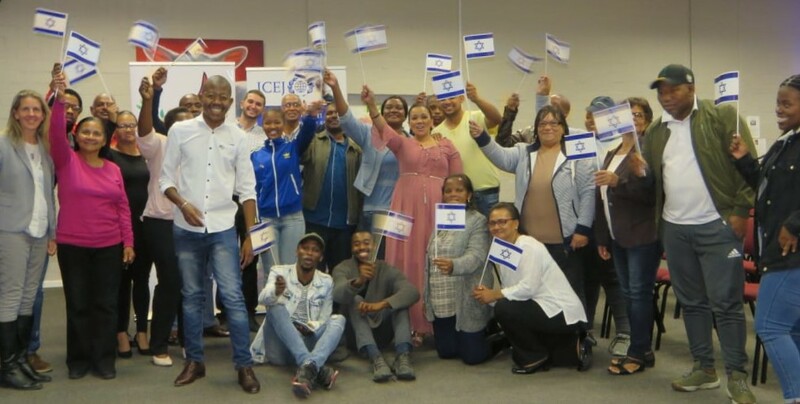 We are grateful for the continuing donations and are in the process of transferring close to R700 000 to the ICEJ headquarters in Jerusalem which will help towards these and other practical ways of blessing Israel. Please remember to ensure that we have your updated address and contact numbers to receipt you for your donations and to also stay in contact with you. We look forward to seeing you at one of the events coming up! The cost of sending the Word from Jerusalem magazine is offset against our voluntary annual membership fee – please support us with this. Alternatively, you can also opt to continue receiving the magazine in a digital format via email – please let Co know if you would prefer this (office@icej.org.za). We are keen for more people to join the team in this important mandate and if you would like to pay a role representing ICEJ in your area/community/church then please contact us to discuss how you could get involved. Please contact Co at the office phone or email if you haven’t received a receipt in acknowledgement of your donation – we would like to make sure that we do confirm your donations and that our database is up to date with your address and contact details. Join believers from 80 nations, as we go up to Jerusalem, the City of our King, to worship the King of Kings! The ICEJ Feast of Tabernacle celebration is a prophetic foreshadowing of the time to come spoken by Zechariah. Let’s get practical – we can each do our part for Israel – below are 3 easy ways – implement them yourself and then share with your small group and friends – let’s grow the community of Christians who support Israel. It starts with YOU. You can invite us to speak to your church / small group about Israel. 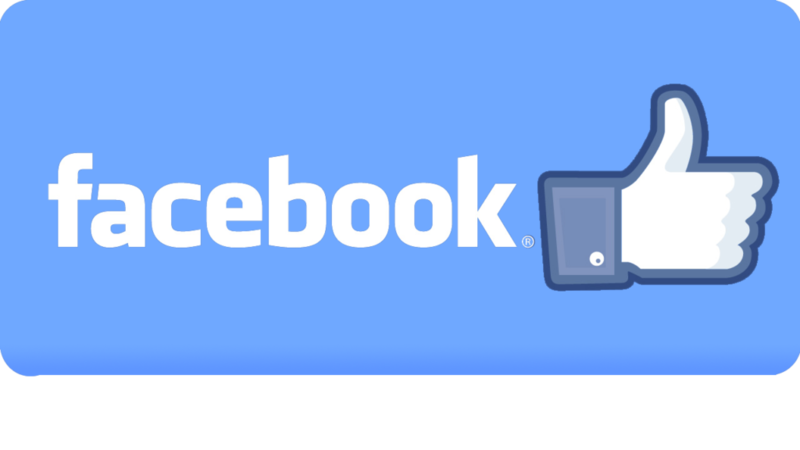 You can also advocate for Israel, by liking our Facebook page and engaging with the articles, liking, leaving a comment or sharing the article – this ensures that the Facebook algorithm shows our posts more often and to a wider audience. 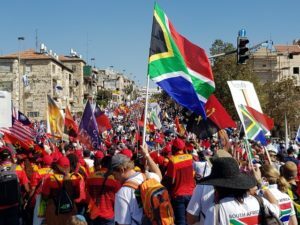 We will keep you posted with photos and videos of the work of the ICEJ in South Africa and Israel. Build the community of ICEJ in South Africa – Like the Facebook Page and Share with your friends. Use the articles to guide your prayers for Israel. Copyright © 2017 International Christian Embassy Jerusalem all rights reserved.